Nineteen-fifteen was a big year for Civil War-themed films in the United States. The 50th anniversary of the end of that conflict sparked more than one celluloid reminiscence—some good, lots bad, many missing the point altogether. It’s a sad fact about public mythologizing, and a peculiarity of silent film, that a cause for reflection can so often be reduced to little more than a vehicle for shallow dramatics or vast platitudes, barely connected to the past upon which they ride. The Coward is no such case; at least, not at first. Watch The Coward for 54 minutes and you will see—I promise you—film acting in its purest form, distinguished and powerful as only the silent medium could provide it, and compelling in its focus on war. It’s a triumph. And you should stop there. Because, from its 55th minute to its 77th and last, The Coward chickens out. We deserved better, by god—all of us did, and none more so than the film’s stars, Charles Ray and Frank Keenan. Feel no shame if you don’t know Charles Ray; he is a forgotten star. But feel regret, because he shouldn’t be. 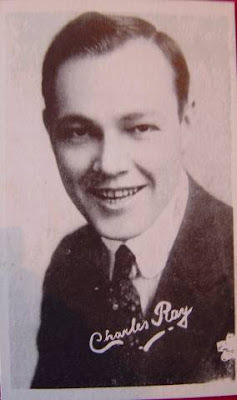 Ray, a child-faced actor faced with child roles time and again, enlivened his shallow twerps and rubes with a degree of emotional nuance I consider unparalleled among male leads of his era. 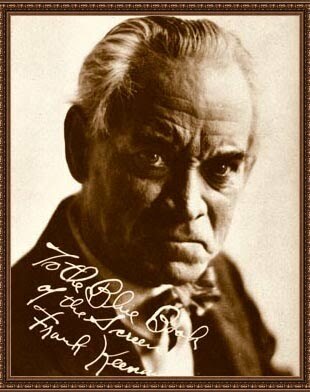 The big guys—Chaney, Barthelmess, Barrymore (and Barrymore)—excelled at grand emotion. They loved big; raged big; they even suffered big. Ray, though, avoided the broad strokes. He projected, better than the rest, those moments of hesitation, then awkwardness, then willfulness that fill in the blanks between the mighty moments in our lives. It is one thing, for example, to project Terror; it is another, harder thing, to project worry about one’s own fearfulness, especially when one has, literally, nothing to say. This is the chief concern for Frank Winslow, Ray’s character in The Coward: a pampered son of a Southern landowner, faced with the prospect of enlisting in the Confederate Army at the outbreak of hostilities. As explained in one of The Coward’s few intertitles, it’s not war that Frank fears, but the idea that he is a coward. He thinks himself flawed by design, and incompatible with his world, and much worse than that, incompatible with his family name. For you see, Frank Winslow, flower-smelling bird-watching dandy, is the only child of Col. Jefferson Beverly Winslow (Keenan), an old-soldier retired on paper, but not in spirit. Jefferson’s layered in Confederate grey even before the war begins; his eyes are heavy-lidded and furious at seemingly everything; his hair and mustache are grey bushels—the man is Mark Twain with the devil in him, and of him, Frank is rightfully terrified. When Jefferson finds out that his son left the enlistment office without signing up, his reaction is dreadful. Standing erect in his study, staring into space as though he’s just witnessed the cleavage of the earth’s crust, Col. Winslow requests the presence of the boy. He also loads a gun. Jefferson’s wife, Frank’s mother, doesn’t see him do that. But she’s nonetheless fearful of this man, who stands so rigidly before her, so impenetrable is his bearing. She’s pathetic as she tries to calm him, fluffing his collar and smoothing out his sleeves while he stays motionless. It’s as though she’s primping a statue. And that’s exactly the effect Keenan’s going for, because when you simply sit and absorb The Coward’s early scenes—long, long takes, all of them, uninterrupted by intertitles for minutes at a stretch—you realize that the Colonel’s postures shift from one stiff cliché of military statuary to another, never with an ounce of give. Only when no one is looking does Keenan allow his mannered monster some moment of self-doubt or grief, but then it’s interrupted by a bugle call, or some other clarion of patriotism, and he’s back to form. I thought he’d shoot his son. That’s how chilling Keenan is in The Coward—incredibly, his first role on film. And I kept wondering if poor Frank, wilting before him and agreeing to enlist and then doing so, mattered as much to the old man as the ideal of a good son. Jefferson obsesses over one facet of the boy’s character, at the expense of reality and good judgment. In a way, he underestimates Frank as much as Frank underestimates himself, but Jefferson’s delusion is toxic. With his son off to the killing fields, he can again settle before Frank’s photograph: a posed shot, shaped square, set in an oval cut from velvet, which reaches the edges of a frame, again shaped square. How many layers ’til you reach the real Frank Winslow? The boy deserts, of course. After only a day he flees to his home, which, given his father’s attitude, could be an honest attempt at suicide. Jefferson doesn’t kill the boy, but he again reacts in sculptural fashion and, in the film’s most remarkable sequence, Ray follows suit—adopting poses of suppliance and agony, answering Keenan’s monumental standing with something akin to Rodin. I’ve never seen the like of it. It’s downhill from there, I’m afraid. Noting that the Winslow name is still on the rolls, and must be answered when called, Jefferson makes an unlikely return to action. He proves an able gunman, though for reasons not entirely his fault, he manages to shoot Frank in the field. Frank was dressed in Union blue, you see; escaping to Confederate lines to reveal a Union battle plan, like any brave Southerner would do. That’s how Jefferson would have seen it, and I’m disappointed that, in the end, The Coward shares the villain’s view. How many lives has Jefferson Winslow destroyed, literally or otherwise, in the name of duty? It was The Coward’s duty to prove him wrong, I think, but instead, it surrendered quietly. For another taste of Charles Ray, revisit my review of The Busher (1919). 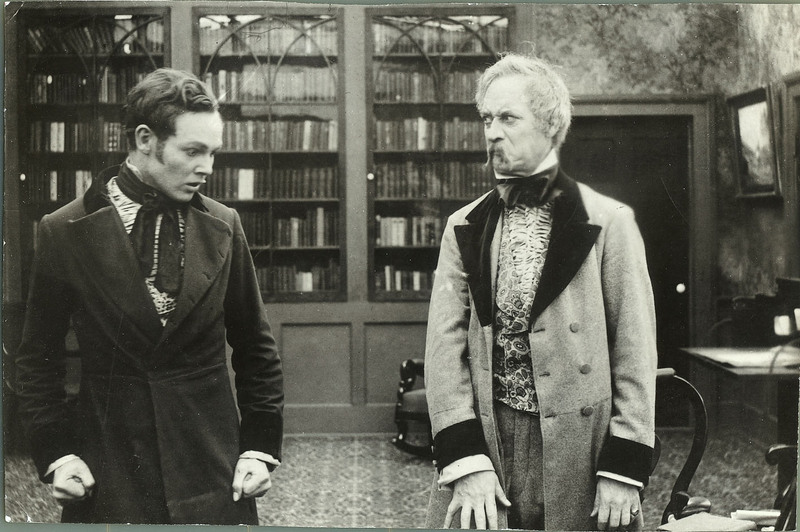 And for another example of an eminent stage actor stealing a movie on the first try, see my review of The Saga of Gosta Berling (1924). Like Frank Keenan, Gerda Lundequist’s mighty matriarch puts the lie to the notion that stage-trained actors were a drag on early films. I dare you to show me better performances. The Coward is packaged with The Drummer of the 8th (1913) and Granddad (1913), both good films, though not as good as this one, on Image Entertainment’s single-disc Civil War Films of the Silent Era.